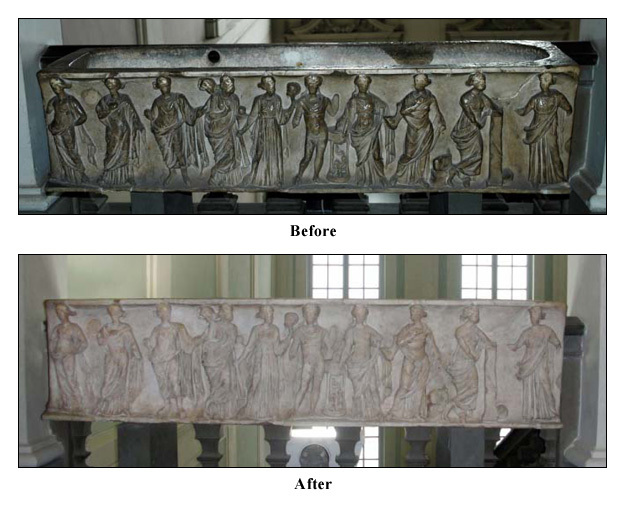 Ancient Roman marble coffins used mythological decorations to refer to the deceased. This Sarcophagus with Apollo and Muses was carved from Greek marble in the second century and has been in the Uffizi for 300 years. It depicts Apollo, the god of healing and music, as he dances among muses, a possible reference to his multiple (more than 20) child-bearing affairs.